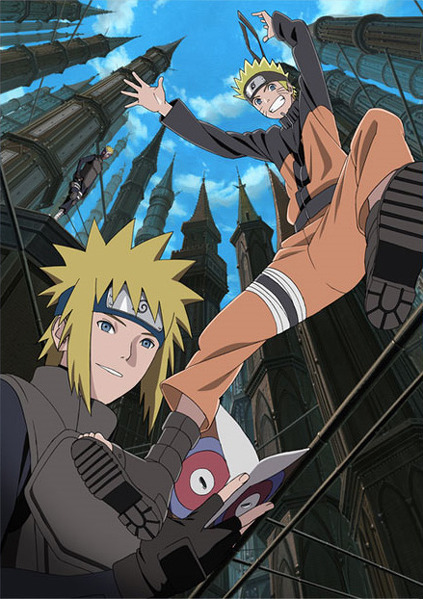 The seventh overall movie of the Naruto anime series and the fourth Naruto Shippuden movie will be released in theatres throughout Japan on July 31, 2010. The official theme song of the movie is "If" by Kana Nishino. Assigned on a mission to capture Mukade, a missing-nin, Naruto Uzumaki sets out for the once glorious historic ruins of "Ouran", where he pursues and corners the rogue ninja. Mukade’s goal is revealed to be a dormant leyline within the ruins; he unleashes the power of the leyline, causing a light to envelop Naruto, sending him into the past, 20 years before the series began. When Naruto awakens, he comes into contact with his father, the Fourth Hokage, Minato Namikaze.